How has personal training with DMC helped your health and wellness? 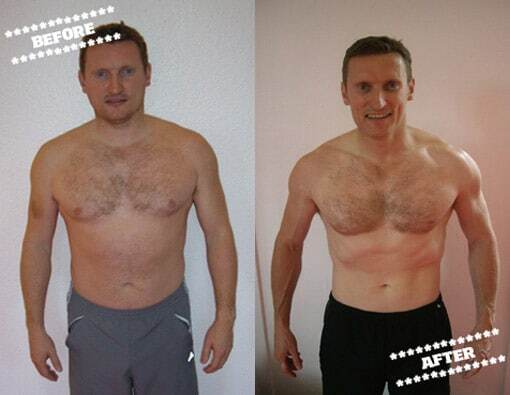 My personal training with Davie has reinvigorate myself in terms of my health and fitness. We worked very, very hard on the stretching mobility and my back, which I had previously injured, is probably the strongest it has been I guess since I was a young man. Davie himself was quite heavily into kettlebell sport and introduced me to that which I very quickly began to enjoy myself. It is a highly competitive sport, it is very taxing, it is very hard on you physically and that was something that I enjoy. So working with Davie I managed to gain a certain level of skill. I won a small competition up in Aberdeen which was a highlight for me. I like to try and achieve things, I like to try and meet goals so that was something I had achieved with Davie. A Brand new skill I had learnt and I still use kettle bells now as part of my training regime. In my first 6 months my results were probably the most dramatic, I guess, of all the time that I have been with Davie, I probably lost 3½ stone very quickly and I think that was mainly as a result the fitness and working out, but probably as much as anything else Davie focussing my mind when it came to my health and nutrition. Davie is the guy that I train with most of the time, we have got a really good understanding, he can very quickly sense when I come in on a Thursday morning if maybe there is something on my mind and to be honest I like to think that I have probably got the same relationship with Davie. Yes, he’s my coach, but he is also a very good friend and that is something you have to value. The variation in the training programmes included bodyweight, kettlebell and boxing routines which allowed for continual progression while never getting bored. Right now it’s my Thursday kick boxing session with Davie, which is great. I am looking to take the level of skill that I have at the moment which is modest, and push that on in the next 12-18 months and become a reasonably proficient kick boxer. I can’t really recommend DMC enough. It’s not an exaggeration to say my life changed for the better the day I met Davie.